For the first time in several years I took the time to setup our collection of Department 56 collectibles. I have been collecting the Dickens' Village line for many years usually adding one new piece each year. Our collection now covers the entire mantel above the fireplace and has spilled over to the hearth. I love the way the ceramic gives off a warm glow when lit from inside. God bless us everyone. There is a new guard on duty at the Bubba house. She has taken on the duty of protecting all Christmas presents that are placed under the Christmas tree. While in stealth mode, she hides within the branches of the tree. If you happen to venture too close to the tree she will pounce on you. Her favorite move, The Flying Fur Ball, is quite terrifying! I decided to wake up during the wee hours of the night to take a look at the lunar eclipse. A lunar eclipse happens when the sun, Earth, and moon align with the Earth in the middle. This throws a shadow on the lunar surface. While a lunar eclipse isn’t rare, this eclipse’s combination of events is quite rare. The last time there was an eclipse during the winter solstice was way back in 1638. Did you miss it tonight? Well the next one won’t be as long a wait since it should happen again in 2094. But, the next regular lunar eclipse should be in 2014. We are always looking for things to do around the Eastern WV Panhadle. Just a short trip down Route 11, north of Winchester, VA, is Clear Brook Park. Every December, since 2001, the Parks and Recreation staff opens the park up as a walking tour with thousands of lights. While it isn’t anywhere near the grandeur of say The Osborne Family Lights in Disney it does have that special hometown magic that the enormous displays don’t have. You can stroll around the park sipping on hot chocolate and even say hello to Santa if you wish. Unless you wait for to speak to Santa, the park is a good half hour diversion from the hustle and bustle of everyday life. Snow works magic for Christmas lights. We received a couple of inches of snow today so I snuck outside and snapped a few pictures of our lights. Even though I wanted to go crazy on the lights, I only had a couple of hours that I could devote to decorating so these will have to do for this year. The 2010 East Coast Indoor Nationals was a great show once again. This has to be one of my favorite shows to attend each year. It was held at the Cow Palace in Timonium, Maryland. The cars are all there by invitation only so everyone of them is top notch. 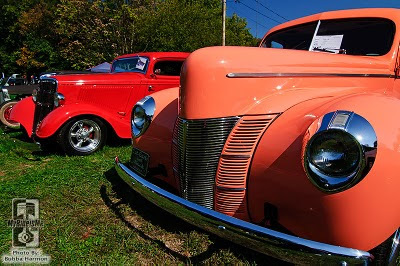 There was a mixture of hot rods, customs, rat rods, nostalgia dragsters, bikes, and classics. I am still learning how to shoot these indoor events but I have many more successes now than failures. The lighting conditions are rough and the crowds also become an issue when photographing indoors. Check out more of my photos over at MyRideisMe.com and event coverage over in the blogs. I now have a new celebrity photo to add to my garage wall. This is me with Norm Grabowski of Kookie Kar fame. He has starred in several minor roles in movies and television including The Cannonball Run, Fantasy Island, Herbie Rides Again, The Beverly Hillbillies, The Monkees, and Batman. He is a very funny guy and I was lucky enough to spend a few minutes chatting with him. Today we decided to take another cruise around the area. Our route included driving over the Harpers Ferry bridge and down Harpers Ferry Road. The final destination of our trip was Leesburg, VA. One of our favorite farmers’ market is held here and, and while we were there, we stocked up on some baked goods. Lunch time had us trying something new. We ate on the patio of The Cajun Experience which is located at 14 Loudoun Street in Leesburg. It’s just up the street from the government building parking garage. The food here is awesome! While I chowed down on a boudin poboy Peg had the jambalaya. To top it off we had beignets for desert. We are always looking for places to drive. 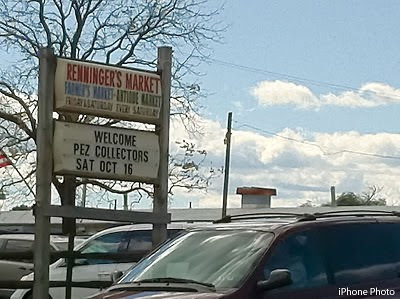 This weekend's cruise in the Taurus SHO was to Renninger's Market in Kutztown, PA for The Purple Cow's PEZylania 4. The drive from our place is just a bit over 3 hours. We spent less than an hour at the PEZ gathering and spent way more money than we had planned on but it was only because the selection was very good. Inside the market we spent even more money and had these awesome Buffalo Chicken Pretzel wraps. Yum! Back on the road, we decided to check out Crystal Cave which was also in Kutztown. This was a bit of a disappointment. There weren't very many formations and it was pretty crowded. I would say pass on this one unless you are really bored. The nature trail was the only saving grace for the place. 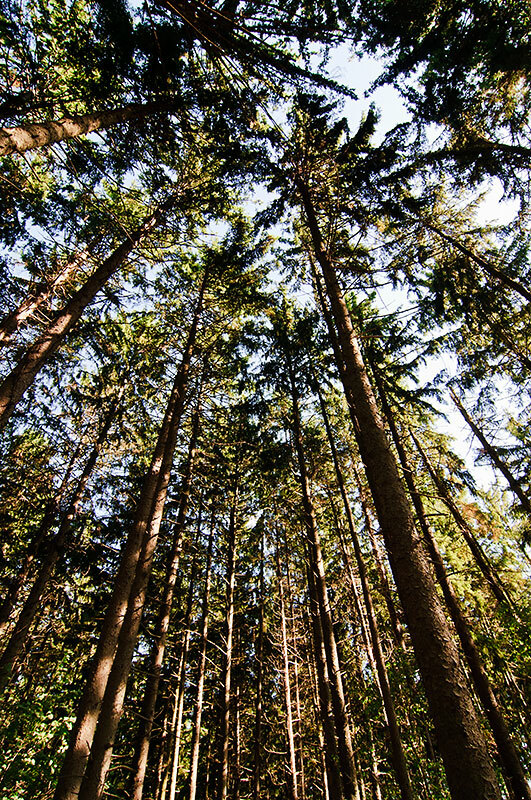 This short little walk is through a collection of different pine trees. 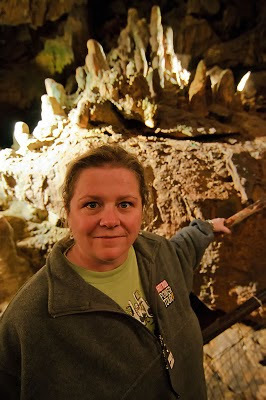 About 12 miles down the road from the Cave is one of our favorite stops. 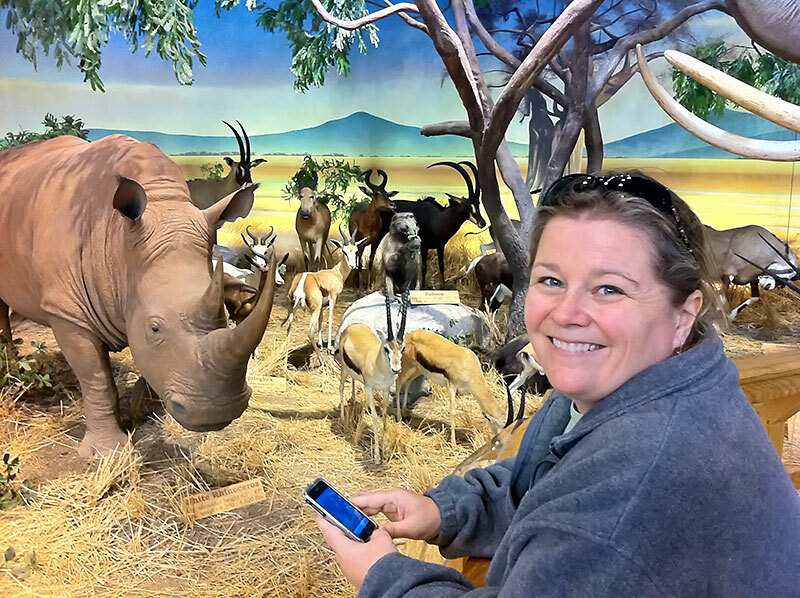 Cabela's, in Hamburg, PA, awesome place to explore. There are aquariums with fresh water fish, tons of stuffed animals, and even a shooting gallery. We have been here over half a dozen times and it still excites us. 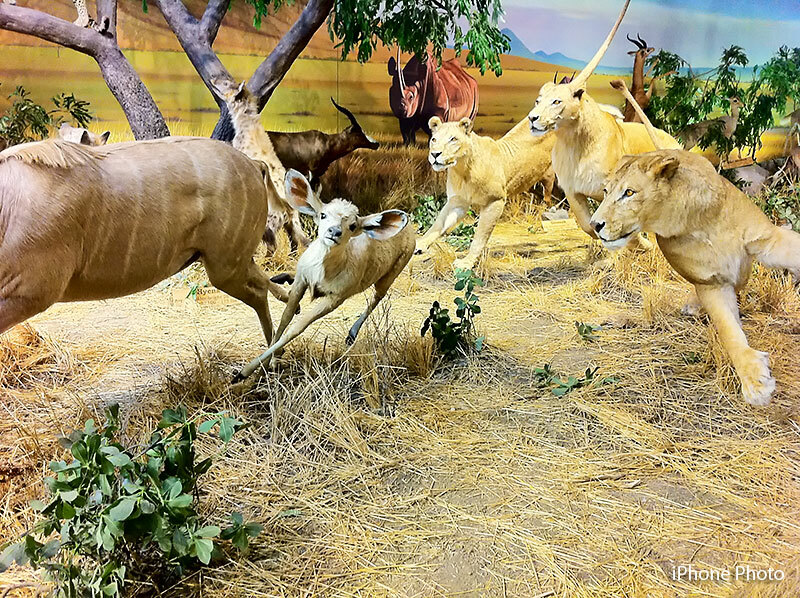 Be sure to try some of the exotic meats in the cafeteria! Our little cruise lasted a bit over 12 hours but driving is what owning a car is all about. 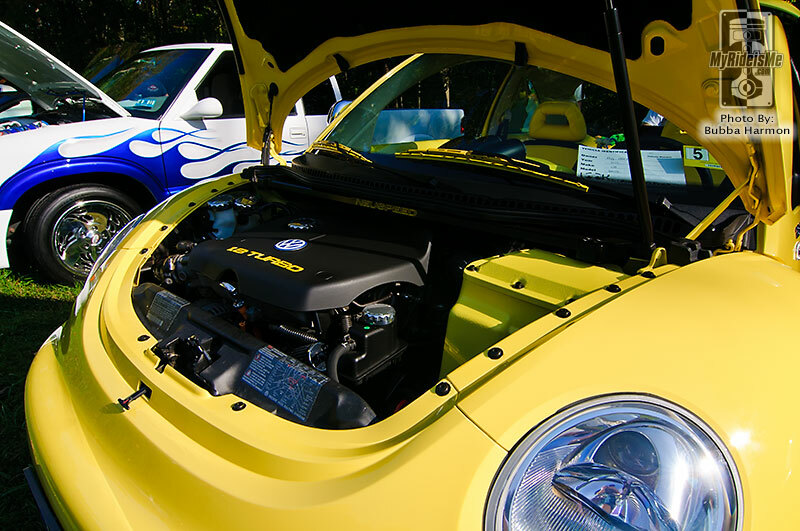 We finally found some time to do a car show. Peg convinced me that I needed to relax a little so we joined up with some friends and headed of to Brunswick, MD. The Volunteer Fire Department was holding their inaugural car show. For a first time show, it was well organised and we had a good time. There is a good chance that we will do this one again next year. You can find more of my photos over at MyRideisMe.com. 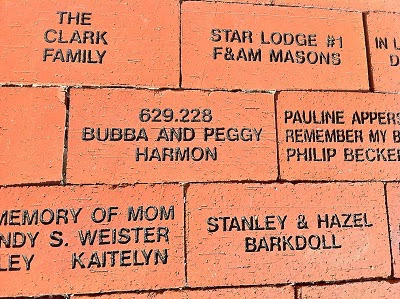 Ever since I saw Peg's grandparents' name on a plaque at Jefferson Hospital in Charles Town, WV I have been kind of obsessed with donating funds to have my name put on stuff. I really like the idea of "buy a brick" campaigns. If you think about it, this is like legal tagging. 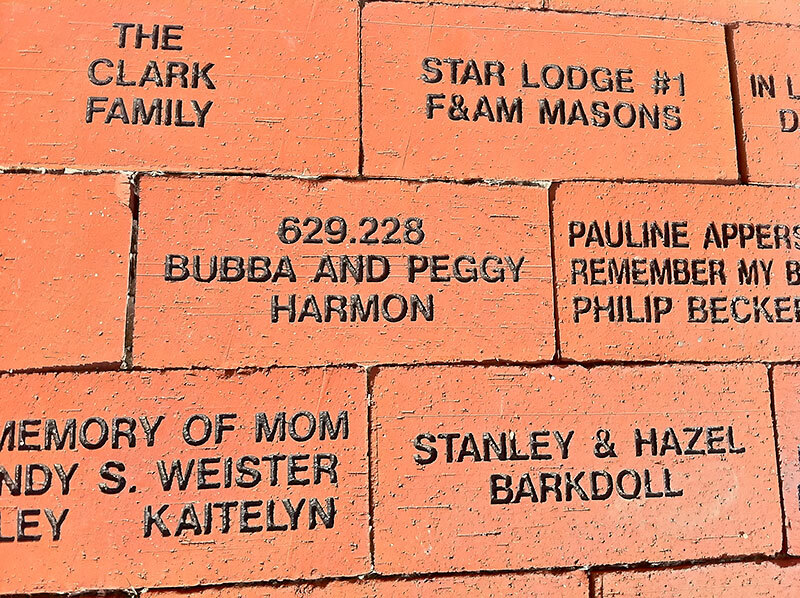 A while back we donated some money to the Charles Town Library and we received a brick in the front walkway. Bonus points if you can figure out what the numbers stand for. 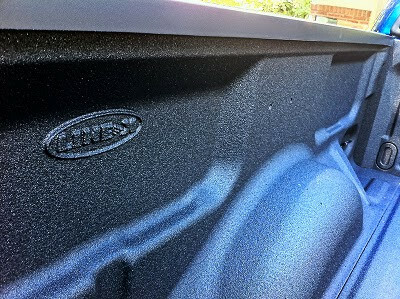 I have had my new Ford F-150 truck for about 6 months now and it has been very handy as a parts vehicle. The bed was starting to get scratched up so I decided it was time to put some sort of protection in the bed. By far the best functioning and looking option is a spray-in liner. 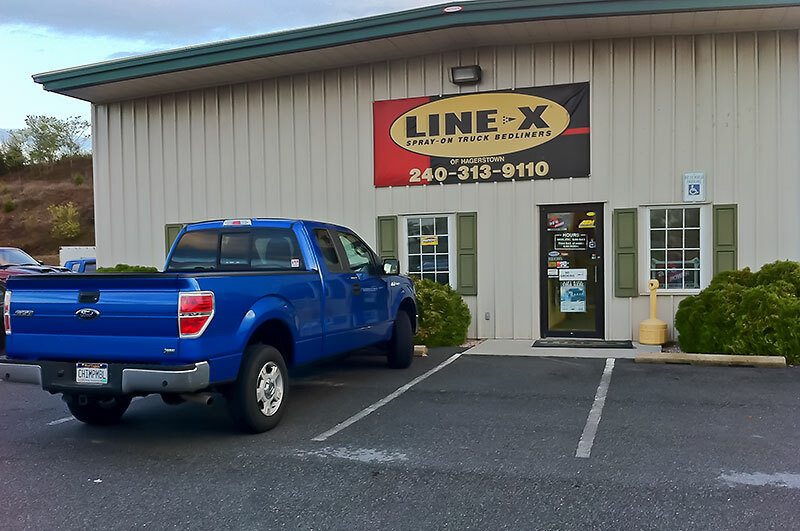 Line-X seems to have a good reputation so I looked up the closest dealer to Bubba's Garage and scheduled an installation time. 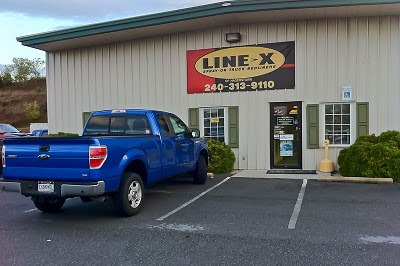 I had the first appointment in the morning, 8:00 am, and the crew at Line-X of Hagerstown was already waiting when I arrived at 7:30. That in itself impressed me because most shops' workers struggle to be on time first thing in the morning. I chose a basic black liner (the photo is reflecting the blue of the truck) which set me back $500. They soon had my keys and I settled into a comfy recliner to watch some HGTV and read a book in their lounge. Two hours later I had my truck back. Another nice surprise; they had protected my interior with a seat cover and disposable floor mat. This isn't always the case for shops around here. The bed looked great and I was a happy camper once again. The installation was an all around great experience.